Olga Benario - A Life for the Revolution tells the story of Olga Benario, born in 1908 in Munich as the second child of a Jewish family. At the age of 15 she joins the Communist Youth organization and begins a life dedicated to promoting "red" ideology. 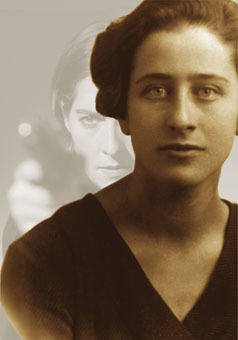 After being arrested in Berlin for "preparations for high treason", she is released and flees to Moscow where she learns to shoot, ride, parachute and even fly airplanes. Her talent noticed by the higher Communist officials, she is ordered to accompany the Brasilian captain Luis Carlos Prestes to Brasil to start the revolution there. Disguised as a rich Portuguese couple on honeymoon, Olga and Prestes drive across Europe and make their way to Brasil via New York. Once in Rio, the two have become lovers. Olga initiates Prestes, a man who so far only had experience on the battlefield, into the art of love. After preparing underground for more than two years, the revolt in Brasil is smashed and Olga and Prestes are arrested. Pregnant, Olga is then extradited to Nazi-Germany, where she gives birth to a daughter, Anita Leocadia Prestes, while in prison. Soon after, Olga is transferred to a concentration camp and is murdered in the gas chambers of Bernburg in 1942. Galip Iyitanir was born in Ankara/Turkey in 1950. After studying Electrical Engineering, he moved to Berlin in 1973 and took up studies in German Philology. After twenty years experience as an editor, among other for the OSCAR-winning film Journey of Hope, Olga Benario marks his debut as a director and producer (2004).